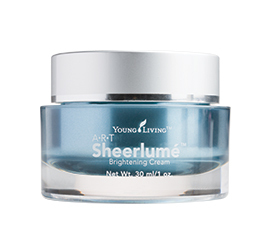 An advanced formula powered by a sophisticated, proprietary blend of alpine botanicals and pure essential oils, Sheerlumé™ will visibly brighten and balance skin tone. Apply a thin layer of Sheerlumé™ on clean skin—face, neck, or hands. For best results, use morning and night either alone or under your favourite Young Living® moisturising cream.